During our tour of Italy we had three days to spend in Sorrento. 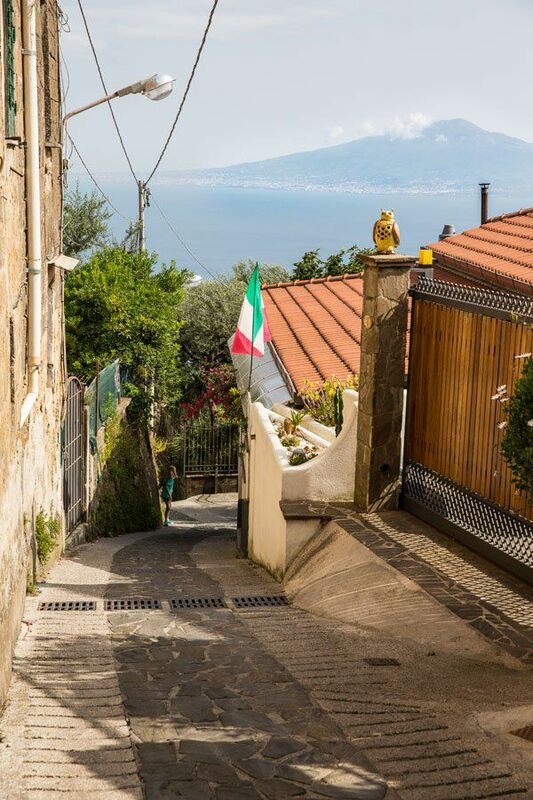 Sorrento is a great home base for exploring this part of Italy, as it is well connected to the island of Capri, the Amalfi Coast, and the historic ruins of Pompeii. We spent our first day visiting Pompeii. We had a late start to the day, and the Circumvesuviana train we were taking to Pompeii broke down on its third stop, so we did not arrive until midday. It was HOT and crowded walking around Pompeii. 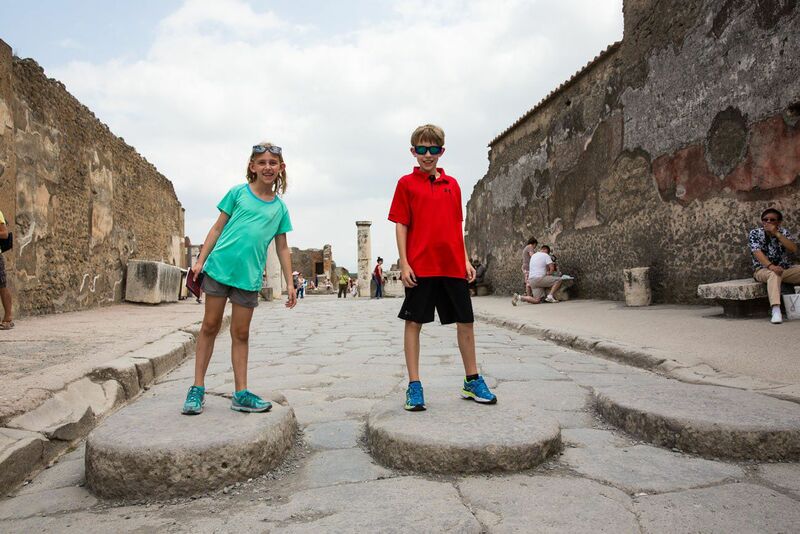 Tyler, who has been learning about Roman construction through our early start with homeschooling, taught us what he knew of Pompeii, with supplemental information from Rick Steves Guide Book, which we are big fans of. The Circumvesuviana train connects Sorrento with Pompeii. The journey takes 30 minutes. This is a local, commuter train. There is no air conditioning so it can be a hot ride during the summer months. We know from our experience!! Also, while on the train, beware of pickpockets. Here is a link to the Circumvesuviana timetable. 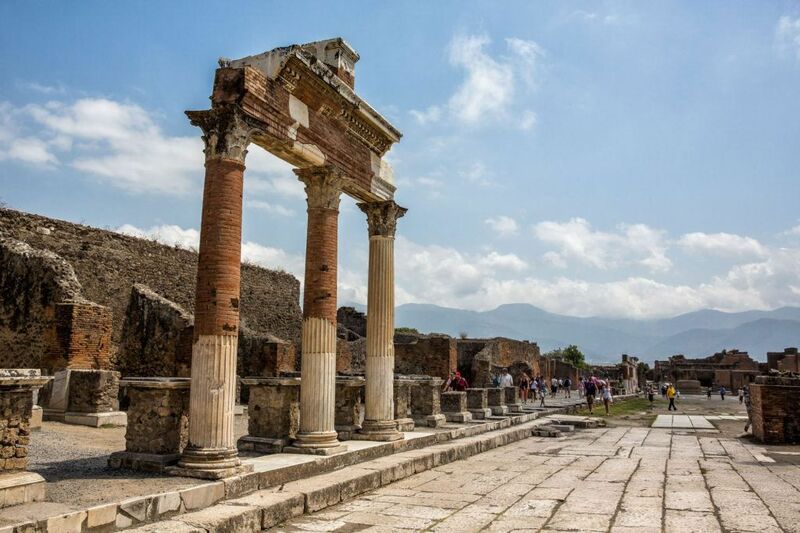 Pompeii can be visited in half a day. 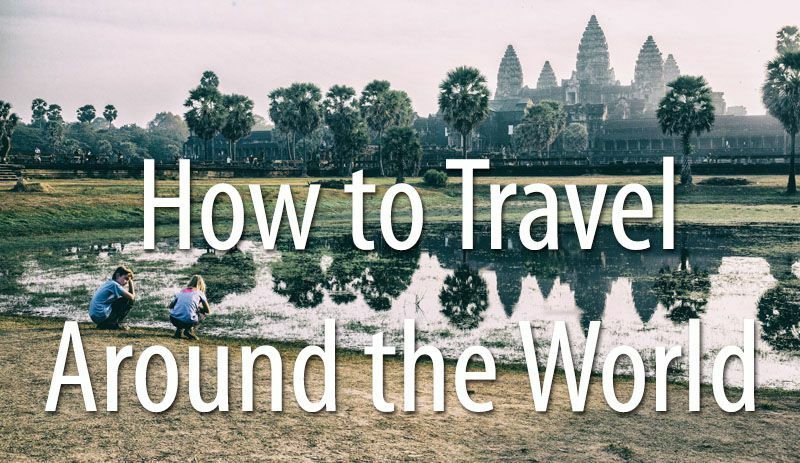 We recommend taking a guided tour. 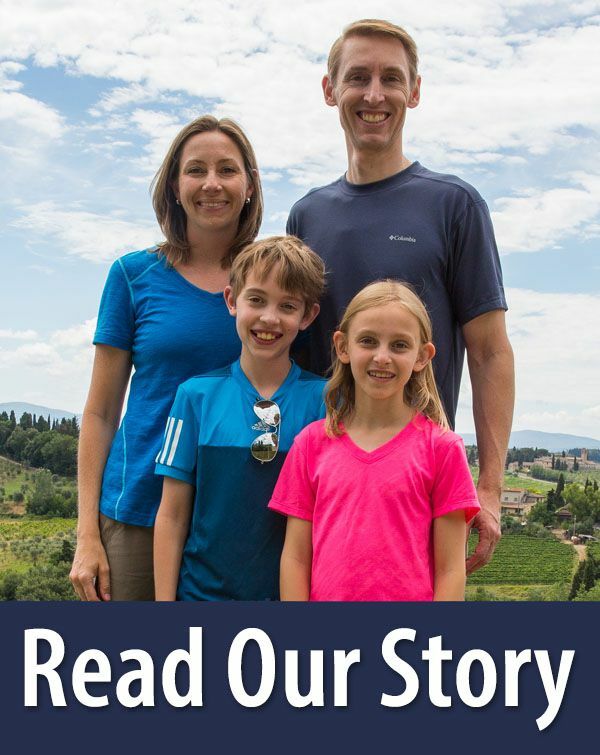 The four of us followed the Pompeii tour in Rick Steves’ Italy Guide but we felt like we were missing something. The second half of your day can be used to visit the top of Mount Vesuvius. From the train station in Pompeii, you can take a bus to Mount Vesuvius and then you will have to walk up 860 meters to the summit of Vesuvius. 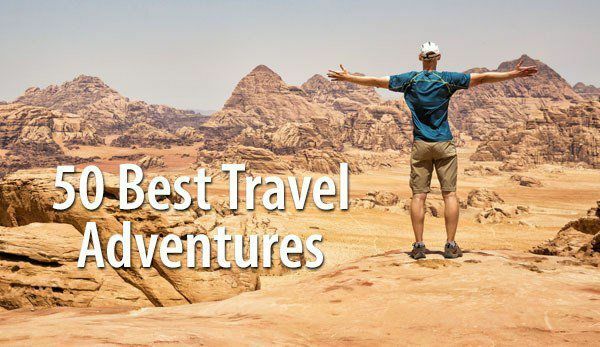 Or, you can skip Mount Vesuvius and explore the beautiful town of Sorrento instead. 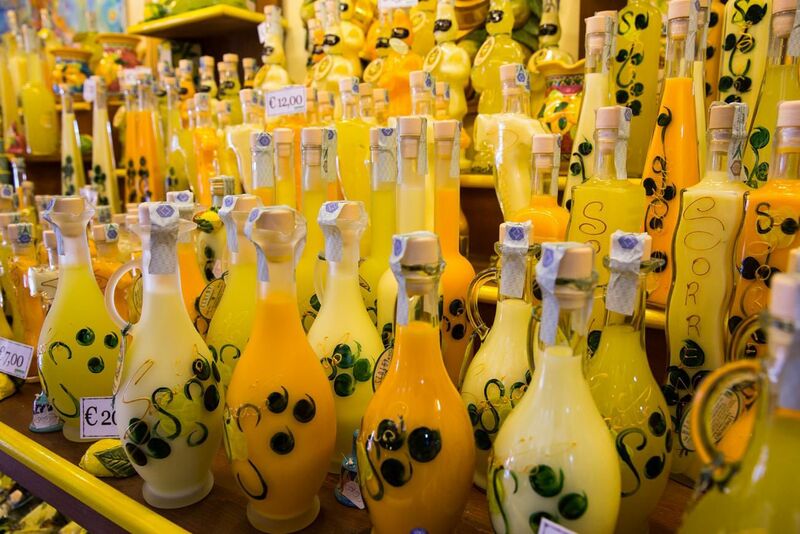 We spent the rest of the day touring the town of Sorrento, shopping for limoncello and groceries for dinner, and then relaxing at our hotel, Casa Elena. We spent our second day on the island of Capri. This was our favorite day while in Sorrento. The island of Capri is gorgeous and Tyler and Kara had a great time seeing the Blue Grotto and taking the chair lift up to Mount Solaro. 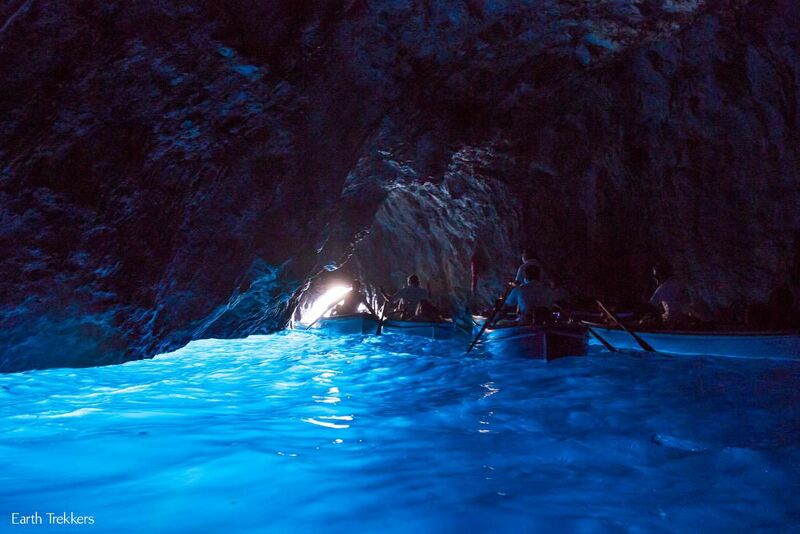 For full details on how to visit the island of Capri and the Blue Grotto, read Is the Blue Grotto Really Worth It? 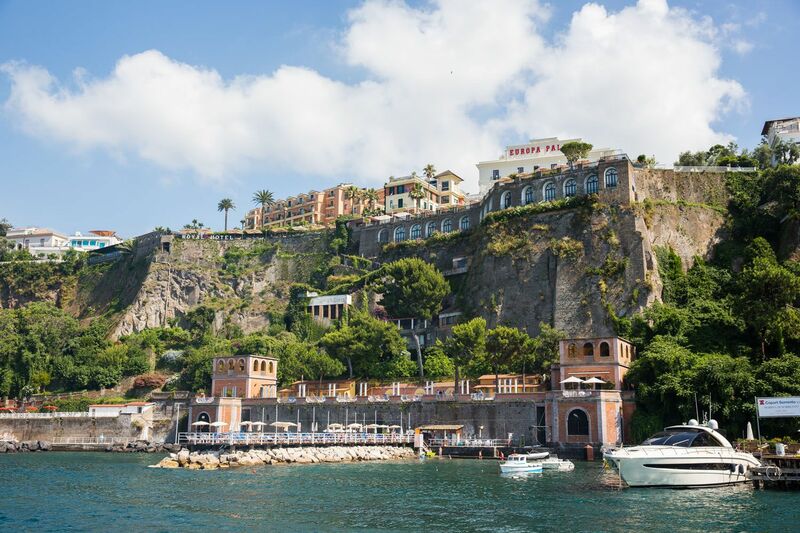 We spent our third and final day touring the Amalfi Coast. 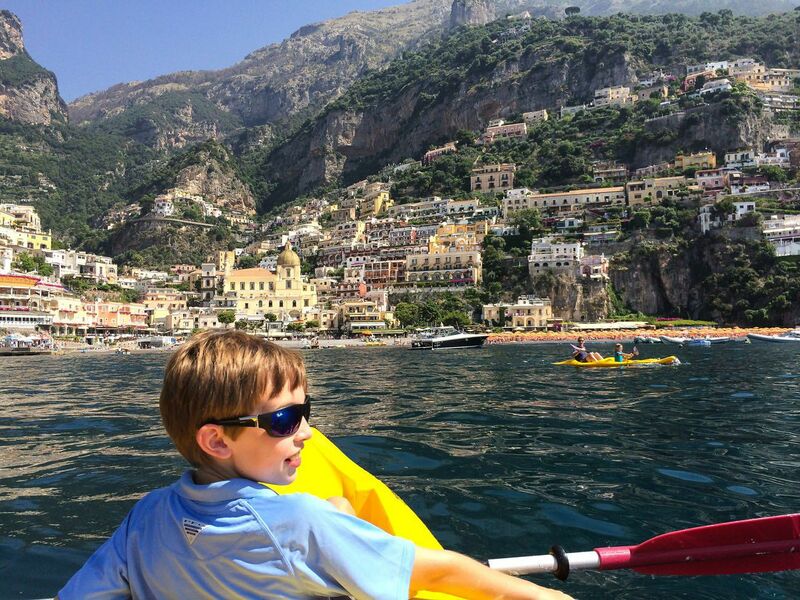 All four of us loved Positano and our favorite activity was kayaking in the Mediterranean Sea. It would have been a perfect day if we skipped the drive down to Amalfi and just spent the day in the amazing town of Positano. The crowds of people on the roads in July took away from what a great experience this could have been. 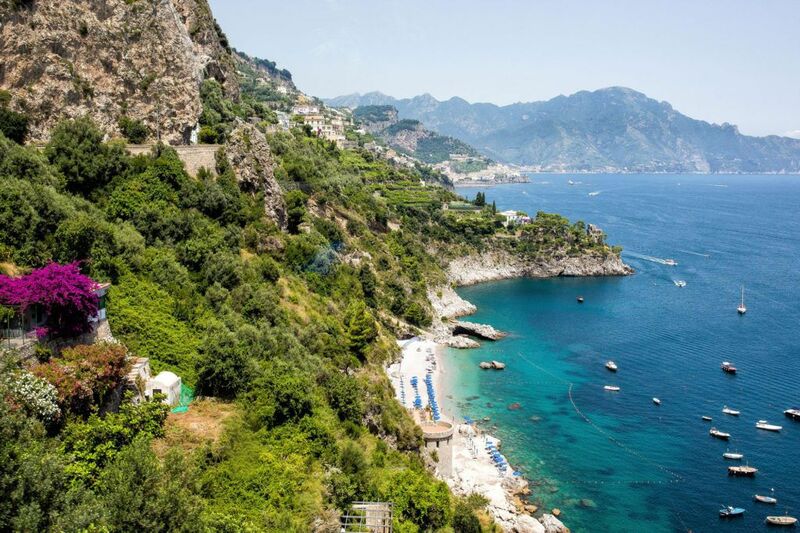 To get around the Amalfi Coast, you have several options for transportation: self-drive, hire a private driver, or use the public bus system. Since we were traveling on a tight budget, we relied on the buses. This was incredibly frustrating. In our experience, the buses were consistently late and on more than one occasion, failed to show up at all. If I did it again, I would pay the money and hire a driver. If you have plans to self-drive the Amalfi Coast during the busy summer months, beware that it can be very difficult to find parking in town. 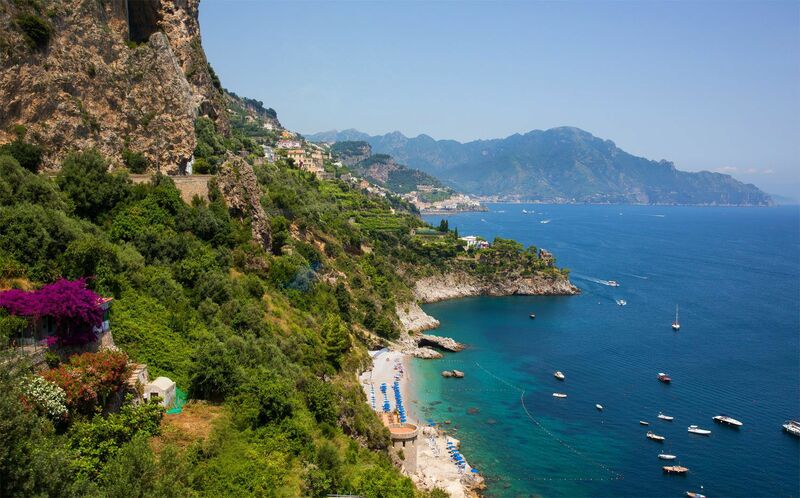 After our experience, hiring a driver seems to be the best method of touring the Amalfi Coast. In summary, we all thought Sorrento was wonderful, and a place we would like to return to during another trip to Italy. 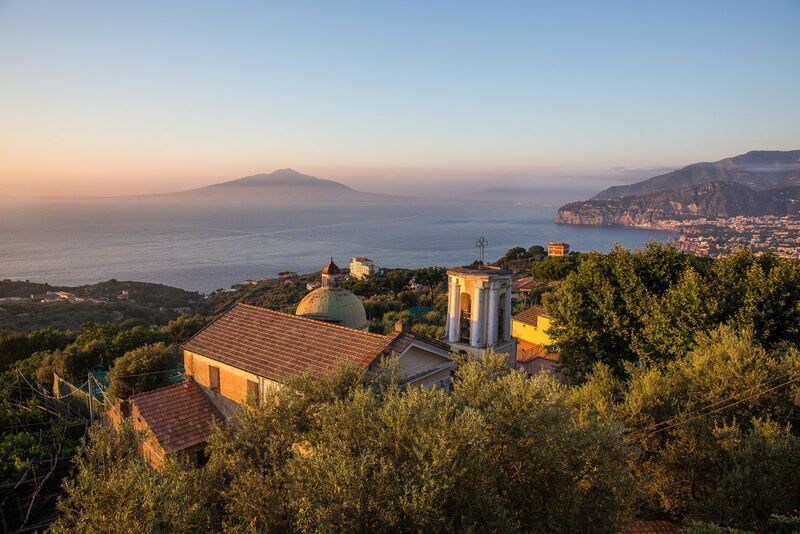 We spent four nights at Casa Elena, a great bed and breakfast located in the hills overlooking the town of Sorrento. Elena, our host, made our stay in Sorrento very special. She did not speak much English, and we speak hardly any Italian, but she gave me Italian lessons every day. Grazie, Elena! 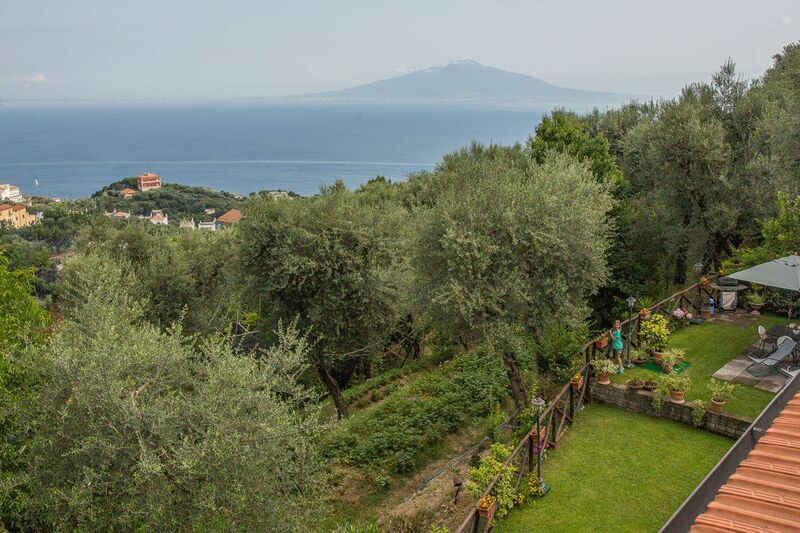 Her property is beautifully landscaped, with views over Vesuvius, a terrace with tables and chairs for relaxing or having a meal, and a grove of lemon trees on the hillside. We also had access to a washing machine so I did our first load of laundry on our trip around the world! This place was a peaceful, scenic retreat after an active day sightseeing. Since we were not renting a car, we had the option of taking a bus down into Sorrento or walking the 20 minute trail down into town. We had terrible luck with the bus system in Sorrento, and had numerous occasions where bus didn’t show up or if it did, it was over twenty minutes late. So we chose to walk whenever possible (which meant walking up to Casa Elena from Sorrento, a hot, exhausting 20 minute walk in the summer months). Even so, we really liked staying here. 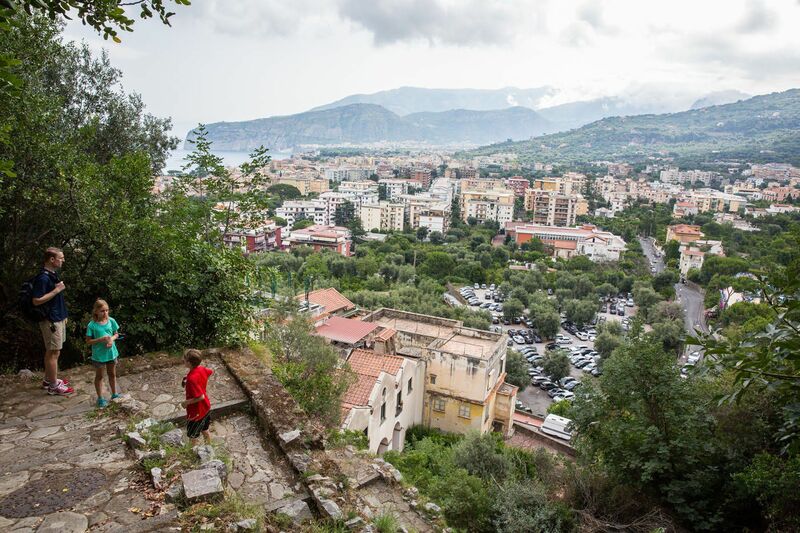 Here are photos taken on the walk from Casa Elena down into Sorrento. This is the view over Sorrento and Mt. Vesuvius, not far from Casa Elena. This photo was taken from Ristorante il Borgo. 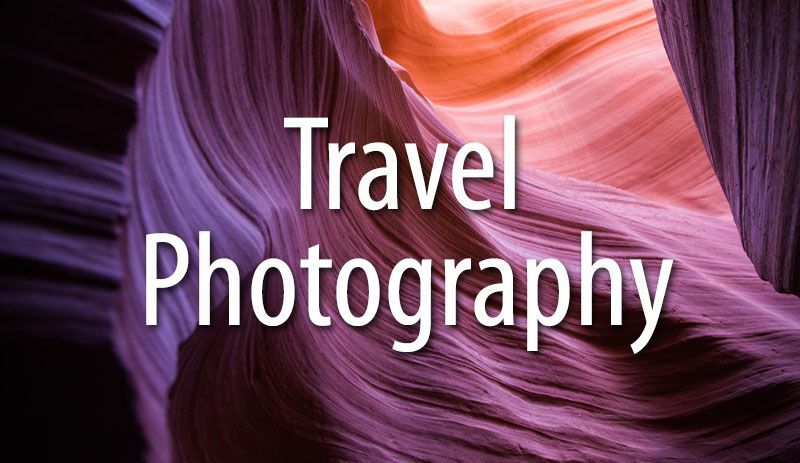 About Our Trip: We visited Sorrento in July 2014 as part of a three week tour through Italy. Thank you for the detailed information! We are visiting the Almalfi Coast this summer and I have a question pertaining to Pompeii. We are flying into Naples airport and need to catch the Circumvesuviana going to Pompeii. Can you tell me how to get to the train station from Naples airport? Wow this trip is beautiful! I so wanna go now thanks to you! Great place to visit with the family! Fantastic explanation. Thank you very much. On the Amalfi Coast , just above Amalfi away from the crowd but still easy to reach by foot, there is the beautiful village of PONTONE, strangely still unknown on the guide book. It seems that time has stopped in that village and locals seem to be your neighbors as very friendly. I have stayed in a guesthouse called Lemon in the air. From Pontone, ( a village, part of SCALA) you have the best trekking paths to reach Amalfi or Ravello as the Valley delle Ferriere or Basilicata Saint Eustachio. Of course , as you said take comfortable shoes as on the Coast it’s free exercise and steps , lot of steps… every where. 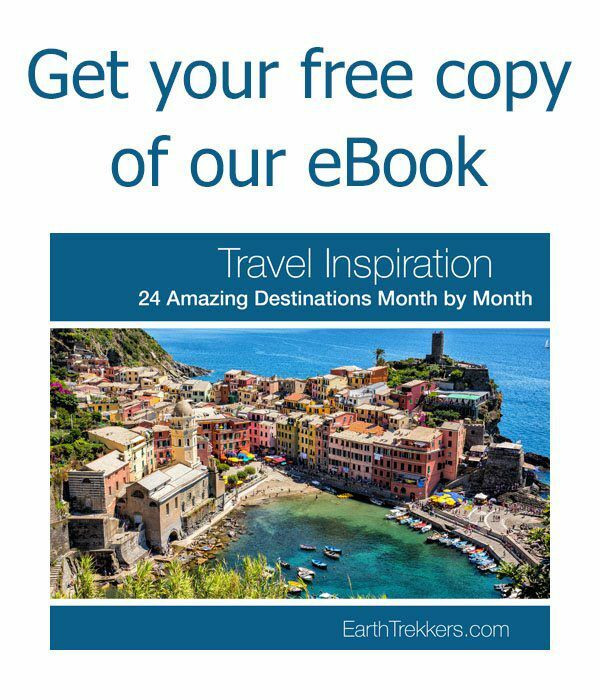 Hi, Your blog has been so helpful planning our trip to Italy thank you ! 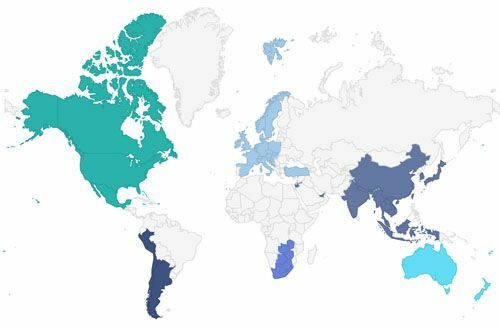 I was wondering, is there places to hire drivers when you are there or is it best to try and book them in advance. 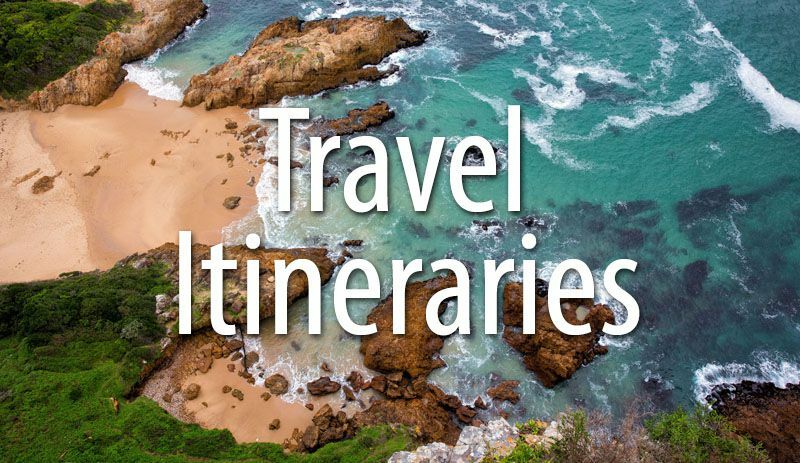 We are looking to have a driver from Pompeii to Sorrento after our tour at Pompeii and then a couple days later for our trip to the Amalfi Coast/Positano . We are staying in Sorrento. I saw that you suggested Sorrento Silver Star. 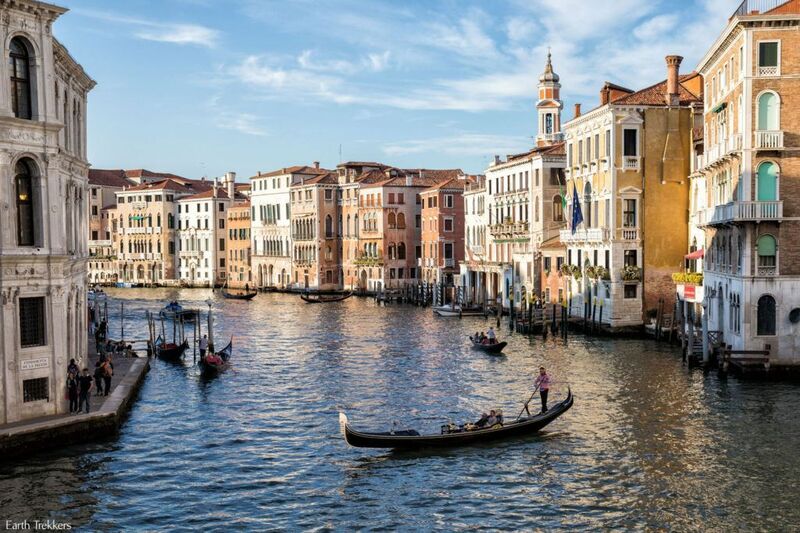 My brother and I will be traveling to Italy for 2 weeks in October this is our 1st trip and part of it will be to explore our family heritage in Cozensa. 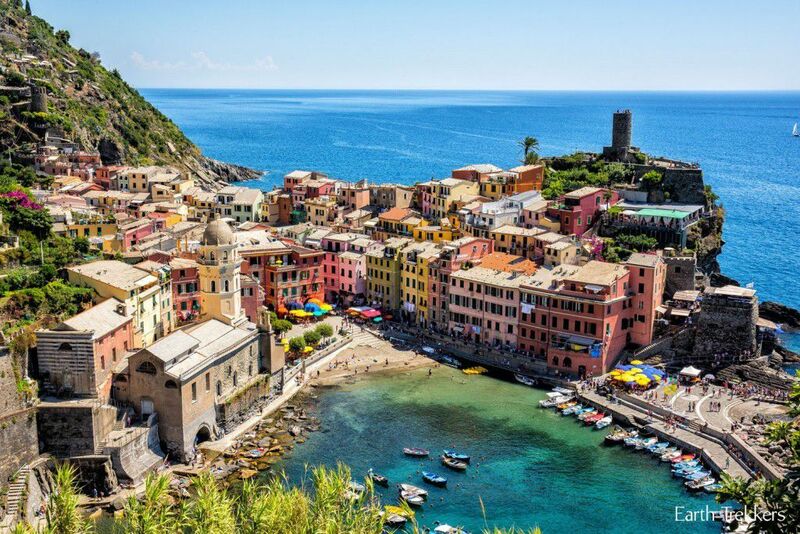 We will be flying into Rome than heading to Sorrento for 3 nights than into Cozensa for 3 nights than going back to Rome.Any suggestions on our trip back to Rome? We will be staying in Rome for 3 nights. We are in our sixties and cannot do a lot o f walking. This was very helpful! We will be going to Italy in August and we only have 5 days up in the north before 5 days in Sicily. We will be in Rome, out first day and then the next night maybe Florence, and then 3 in Sorrento/ Amalfi coast. I can’t make up my mind. Any advice. 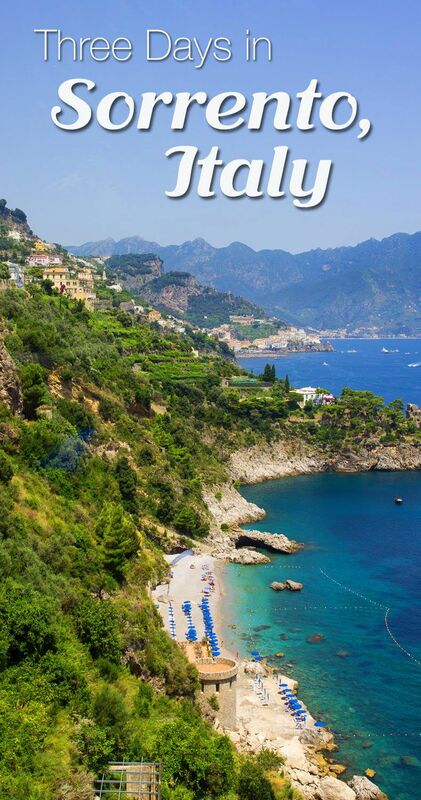 Amalfi coast is my must.